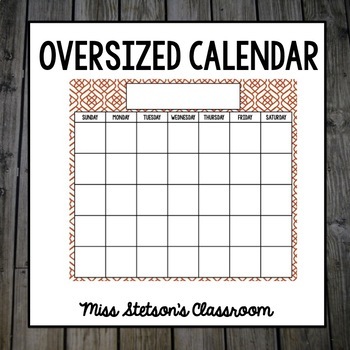 Everyone loves to have an oversized calendar in their classroom. I could never find what I was looking for and finally created a calendar that I could see from around the room. The file includes a template that would allow you to create your own calendar. Calendar includes numbers that could be printed on cardstock or white paper. It can be edited to fit the needs of your classroom. Print at a local print store. It cost me about $15.00 to print at Staples as a poster. I laminated at school.